From 23rd to 27th of June, Al-Nanofunc Members participated on “Thin Films Characterization Training” organized at ICMS. 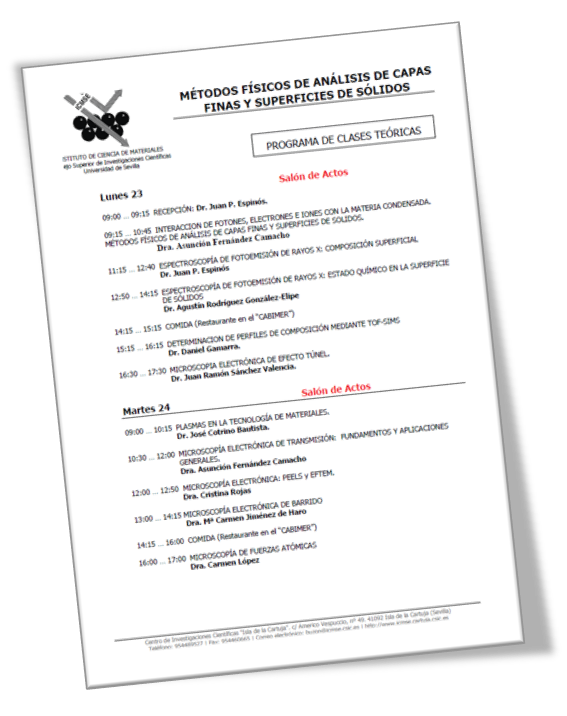 This post graduating training, organized every year, approaches different characterization methods for materials and in particular their application to the characterization of thin films. Asuncion Fernandez(project coordinator), Maria del Carmen Jimenez and Cristina Rojas (WP leaders) were in charge of the formation on Electron Microscopy and related techniques. Alejandro Llorente from Al-NanoFunc stakeholder SchottSolar was one on the participants in this training.